- Compatible with wide varity of media. We specialize in resetting/remanufacturing/ refilling of Mono & Colour Toners of all Major brands. We ensure guaranteed satisfaction in terms of quality and yield. Reckoned among the well-known firm, we offer an extensive range of Recycle Inkjet Toner Cartridges. These products are also employed by patrons due to top performance and longer working life. 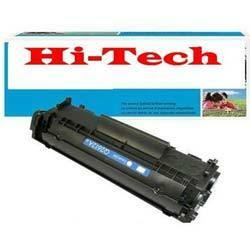 Try using recycled toner cartridges, which now have same quality as new cartridge at a much lower cost. We recycle cartridges for most laser printers. The price range is from Rs. 1000 to Rs. 7000 which is 20 to 70% less then OEM. We supply a massive range of remanufactured, recycled and compatible ink cartridges and laser toners, offering you huge savings and a no nonsense professional service. All our cartridges carry a money back guarantee and are usually instantly available from stock. Backed by knowledgeable team, we are providing an extensive series of Recycled Inkjet Cartridge. Owing to longer working life, these products are enormously admired in the market. We have the privilege to offer a spectrum of Cartridge Recycling to our prestigious clients. Almost every printer cartridges can be recycled, refilled or reloaded. Our recycling services are highly demanded in the industry for their reliability and timeliness. 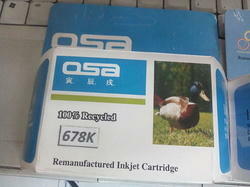 The refilled cartridges offered by us can be recycled many times, which reduce the cost of printing. Offering a precision engineered recycled inkjet cartridges. HP - 12A , 36A, 88A, 78A, 05A, 15A, 49A, 13A, 51A, 11A, 53A, 540A, 541A, 542A, 543A etc. Samsung - 1210, 1610, 3470, 4200, 4300 etc. Xerox - 3100, 3117, 3119, PE 220 etc.